July 9-12, 2015 in Provincetown, MA, a centennial conference sponsored jointly by the Eugene O’Neill Society and the International Susan Glaspell Society returned to the scene where Glaspell’s and O’Neill’s first plays were read on the wharf in Provincetown on July 15, 1915. This four-day celebration included walking tours, performances at the Provincetown Theatre, roundtables, a gala reception, fish-house punch, and more! Roundtables included: “Intertextualities in Works by Women Playwrights of the Provincetown Players,” chaired by Martha C. Carpentier; “Jig, Susan, and Gene: The Triumvirate that Shaped the Provincetown Players,” chaired by Linda Ben-Zvi, plus a wonderful guided walking tour hosted by O’Neill Society President, Jeffrey Kennedy. 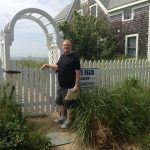 Friday, July 10 — AM: A walking tour of Provincetown and the east end P’town Players’ sites, followed by “Women Playwrights of the Provincetown” roundtable. PM: Celebration of the first night of Players’ readings, with fish-house punch, on the beach! Saturday, July 11 — AM: Tour of P’town Museum, followed by “Jig, Susan, and Gene” roundtable at the P’town Library. PM: Performances of Supressed Desires, Constancy, Trifles, and The Sniper at the Provincetown Theatre (ticket costs included at great discount in conference fee! ), followed by a panel with Robert M. Dowling, Linda Ben-Zvi, and Jeff Kennedy, moderated by Susan Rand Brown. Gala reception to conclude festivities! Sunday, July 12 — AM: Conference ended with a brunch that honored our two societies and all that our members have accomplished, followed by a book talk by Robert M. Dowling, author of the new biography, O’Neill: A Life in Four Acts, recently chosen by the Los Angeles Times as Book Prize finalist. It took a long time, but we finally found Susan. Jeff at the Wharf site. This entry was posted in 2015 Conferences, Conferences, Uncategorized on April 12, 2015 by Martha Carpentier.